John Rowan is the author of a number of books, including The Reality Game: A guide to humanistic counselling and therapy (2nd edition) (Routledge 1998), Ordinary Ecstasy: The dialectics of humanistic psychology (3rd edition) (Routledge 2001), Subpersonalities (Routledge 1990), The Transpersonal in psychotherapy and counselling (Routledge 1993), and Healing the Male Psyche: Therapy as Initiation (Routledge 1997). He has co-edited The plural self. Multiplicity in everyday life with Mick Cooper (Sage 1999). 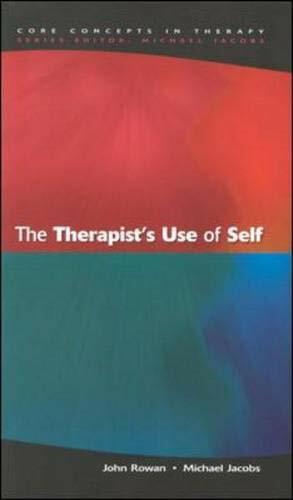 There are chapters by him in many other books on psychotherapy. He is on the Editorial Board of Self & Society, the Journal of Humanistic Psychology, the Transpersonal Psychology Review and the Counselling Psychology Review. He is a founder member of the Association of Humanistic Psychology Practitioners. He is a past member of the Governing Board of the UK Council for Psychotherapy, representing the Humanistic and Integrative Section. He is a Fellow of the British Psychological Society and a Fellow of the British Association for Counselling and Psychotherapy. He teaches, supervises and leads groups at the Minster Centre, where he is also the Middlesex University Link Tutor. His workshop interests are creativity, research, subpersonalities and the transpersonal. He has had six books of poetry published. He and his wife live in North Chingford, London: he has four children and four grandchildren from a previous marriage. Michael Jacobs was for many years Director of the Counselling and Psychotherapy programme at the University of Leicester, having before that worked as a counsellor and psychotherapist in the same university. He is now in independent practice and living in Swanage, Dorset, where he supervises counsellors, sees clients and continues to write and edit. 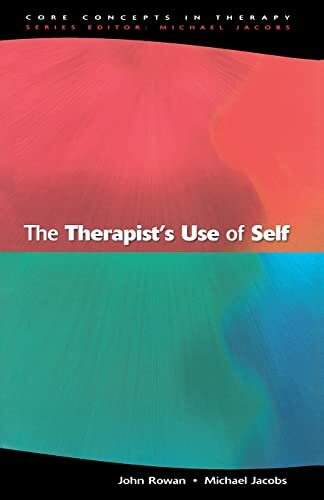 His books on psychodynamic counselling and therapy are used as key texts on many training courses - notably The Presenting Past (1998 - 2nd edition - Open University Press), Psychodynamic Counselling in Action (1999, 2nd edition, Sage) and Still Small Voice (2nd edition 1993, SPCK). He has also written on Freud and Winnicott, which books have been translated into Chinese. He is a Fellow of the British Association for Counselling and Psychotherapy, a psychodynamic psychotherapist registered with UKCP, and an honorary life member of the Bath Centre for Psychotherapy and Counselling. His semi-retired status gives him time for walking in the nearby Purbeck Hills, listening to music, reading biographies and involvement in the local community. He is married, and has three children and two grandchildren from a previous marriage.